I can't be the only one who knows the painful feeling that comes with spending the day doing your thing, planning for later in the day when you will sit down to swatch some new polishes... Only to realise you've broken off one of your nails during your travels. I hate when this happens and usually it means I need to file everything down to nubs and wait for them all to grow out. But not this time, I decided. This time I was going to try applying a single artificial nail to my nub, using the Nailene Designer Collection Artificial Full Cover Nails that I picked up at Shoppers on the way home. How did it work out for me? Check below to see! Here's what my nails looked like at the beginning of this adventure. Look how sad my middle nail is. :( I thought if any of them went it would be my ring finger which is being held closed at the ripped edge with a bit of nail glue, but no. How sad! Wipe down and buff your broken nail. 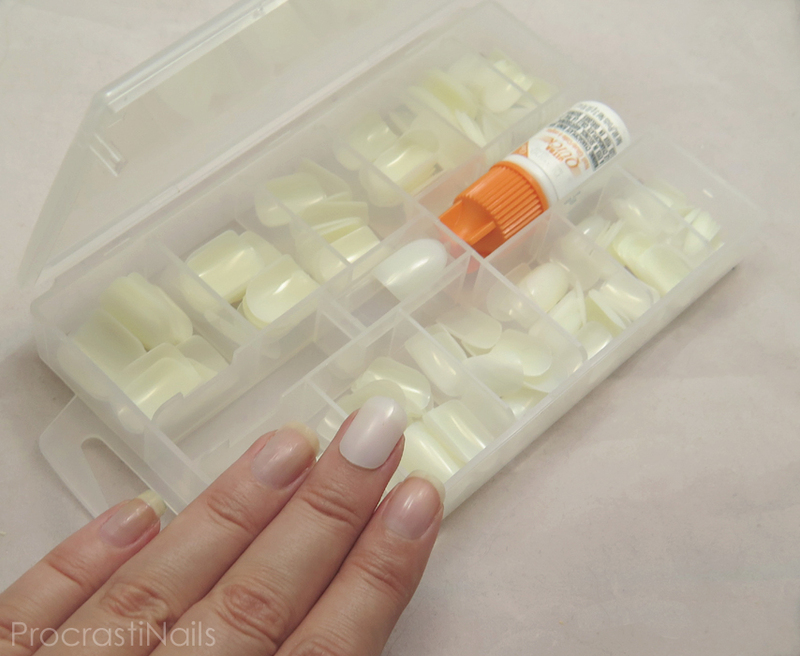 Take your artificial nail and apply an even layer of nail glue. You want to make sure you don't leave gaps where air can get in and under, or water can get in and lead to nail fungus (ewww). Firmly press down the glued nail and hold for 10 seconds. When nail is firmly fit (I waited 40-60 seconds) take your nail file and shape the artificial nail to match your other nails. 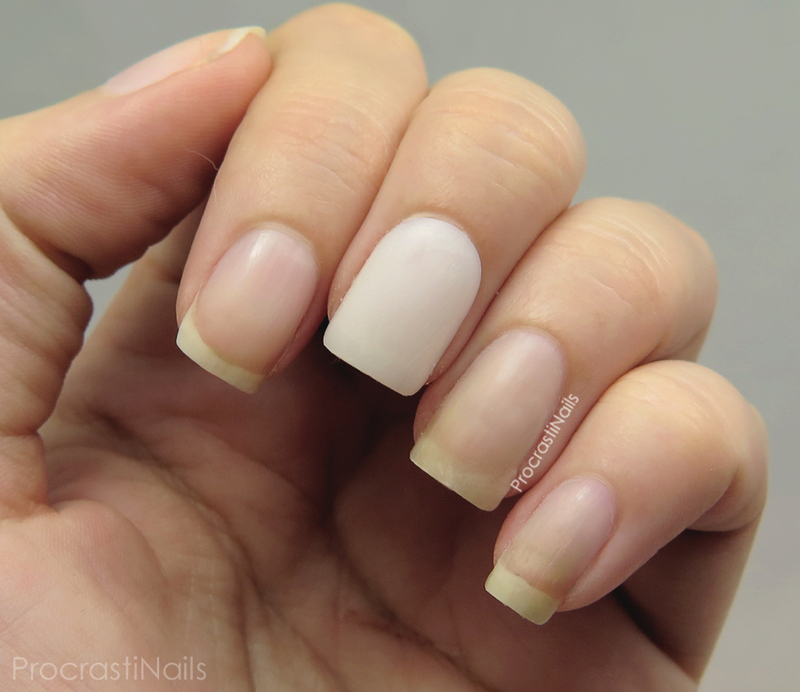 If desired, lightly buff the top of your artificial nail to roughen it up a bit for polish to hold. I found the Nailene kit had a huge selection of sizes in it, and with 200 nails in the kit I'll have enough for ages to come since I'll only be using one or two here and there. For around $10 this kit was definitely worth it. And if you're looking for nail glue I found the glue in the Nailene kit worked much better than some others I've used for nail repair from other brands! This nail held for about 5 days before it popped off while doing chores. Overall I am extremely happy with how this experiment turned out! No longer do I have to wait weeks for my nail to grow back once I break one! 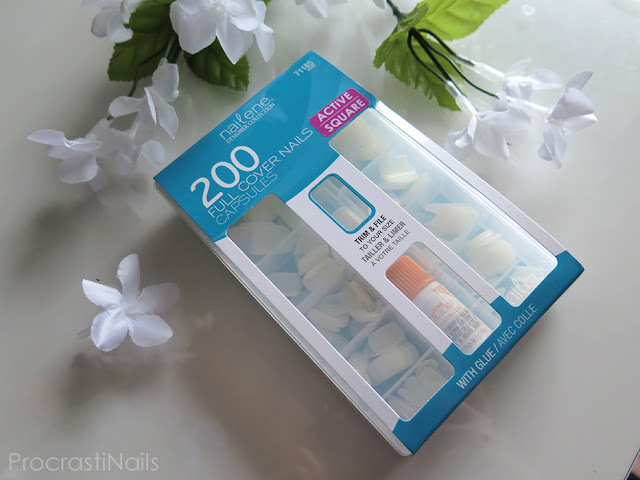 I know that artificial nails are always a hot topic in the nail blogging world and that people tend to have very strong opinions about blogging and swatching with them, but to be honest I'm not really bothered. I found a solution that works for me, and I'm pleased with it. 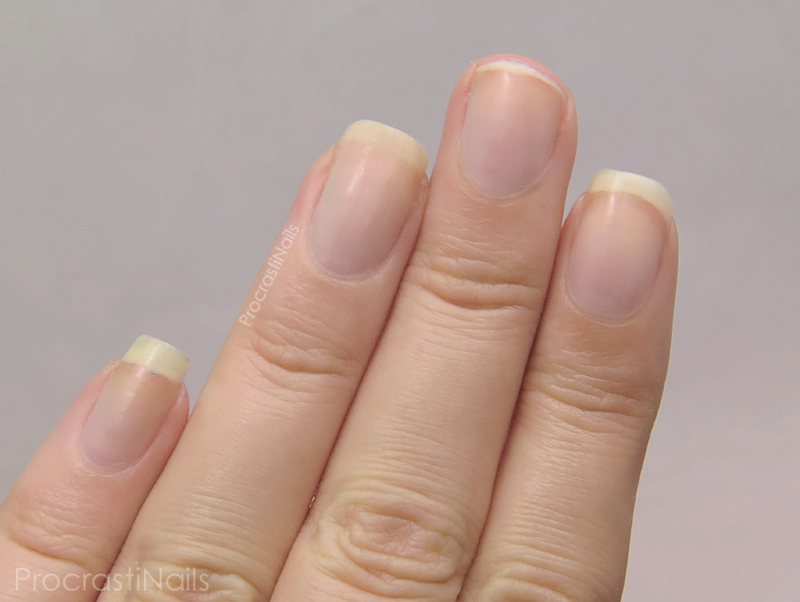 What do you think about using a fake nail until your real one grows back? Have you tried artificial nails before? Let me know! Nice review on this kit. You can't tell that you have an artificial nail too when you have nail polish on it. It blends so well with your other nails too. I never understood the rage some people feel towards fake nails. I never would have realized your middle nail was artificial under the polish! I think whatever works for you is the right thing to go for! I couldn't use artificial nails simply because my nail beds are too sensible to glue and I would make it worse underneath. This is a great review! I definitely couldn't tell you had a fake nail on in that post, so well done! Couldn't tell at all! That's awesome! I probably wouldn't use them, but I'm shocked how good they look. I have definitely done this quite a bit in the best when a door claimed two nails from my swatching hand. Such a fantastic idea. I have to say though yours look way better and more natural than mine ever did! Oh I need this! Thank you for reviewing! When polished you can NOT tell you are wearing a fake nail!